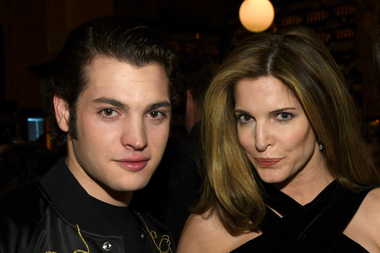 Peter Brant Jr. and his mother Stephanie Seymour pose for a photo at the Tribeca Film Festival last year. QUEENS — Socialite Peter M. Brant Jr. was hauled out of JFK airport in handcuffs on Wednesday evening after showing up for his spring break flight to Palm Beach too drunk to board and then attacking an officer sent to remove him, according to reports and the Queens District Attorney. Brant, the son of billionaire Peter M. Brant and supermodel Stephanie Seymour, was reportedly catching a JetBlue flight to Palm Beach shortly before 6 p.m. Wednesday when staffers turned him away because he appeared intoxicated, according to prosecutors and the New York Post. The 22-year-old, whose high-flying lifestyle helped spawn the Internet sensation, "Rich Kids of Instagram," and the moniker "The New Prince of the City" from the New York Times, became angry and started fighting with JetBlue staffers, prompting them to call security and Port Authority police, prosecutors said. 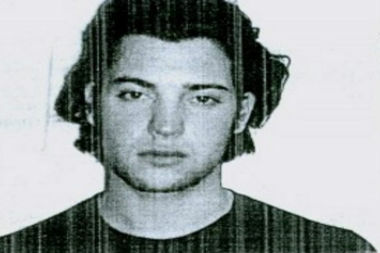 Peter M. Brant Jr. was arrested Wednesday after attacking a police officer at JFK airport. After being barred from boarding his JetBlue flight by a gate agent for being too drunk, Brant walked through an emergency exit, setting off the alarm, according to the DA. When a Port Authority police officer arrived, Brant refused to leave, telling the officer that he was on the phone. When the officer attempted to handcuff Brant, he resisted arrest and became violent, kicking the officer in the knees and shouting that he had the best lawyers in the world and was going to sue the Port Authority police officers, the DA said. Brant was charged Thursday with felony assault on a police officer as well as trespassing in a restricted airport area, according to the DA. His bail was set at $10,000 and he is due back in court on April 19, they said. Brant's lawyer, Philip Russell, defended his client. "It seemed like everything was fine until the police appeared on the scene," Russell said. "He was an intoxicated kid on spring break. Is the first intoxicated kid in America? I don't think so." This is not a first brush with the law for the young model. Brant was ticketed for possession of marijuana while visiting Brooklyn in 2014, according to the New York Post.